Easter Bunny printables - 15 patterns, templates and cutouts! 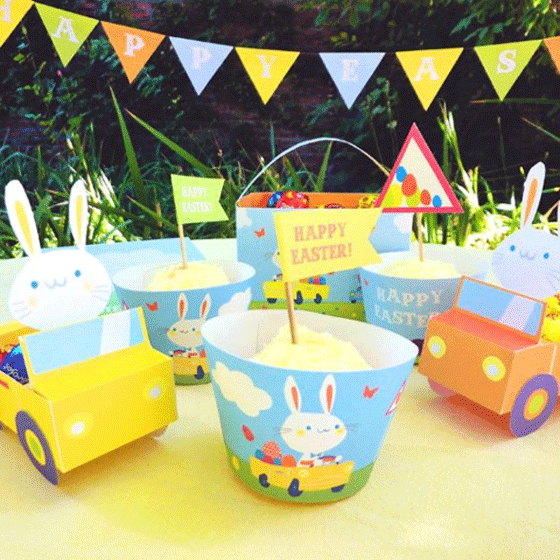 Spring has sprung and the Easter Bunny and his bunny pals are out in their little motors, delivering Easter eggs. This kit includes invitations, easter baskets, mini bunting, cupcake toppers and wrappers, photo props, gift tags and easter bunny masks. Happy holiday Easter Bunny printable kit: Includes invitations, Easter baskets, mini bunting, cupcake toppers and wrappers, gift tags, photo props, bow ties, bingo, pinwheels, Easter Hunt arrows and Easter bunny masks! Welcome to Happythought’s Easter Bunny party kit. 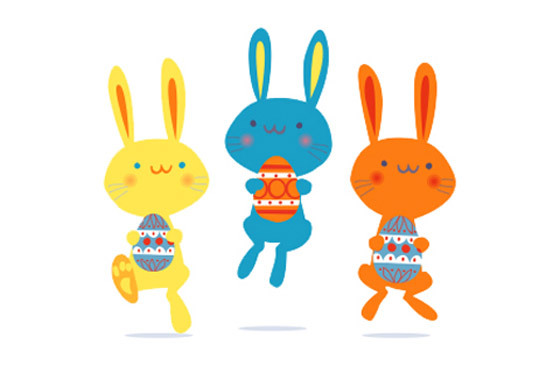 Use the printables to put together a fun and fabulous Easter party or celebration. All the above templates include an instruction sheet with step by step photos & illustrations on how to assemble each mask. These 15 Easter Bunny printable templates are digital PDF files. Please note this digital file will be sent to your email address – we won’t print or ship to you! 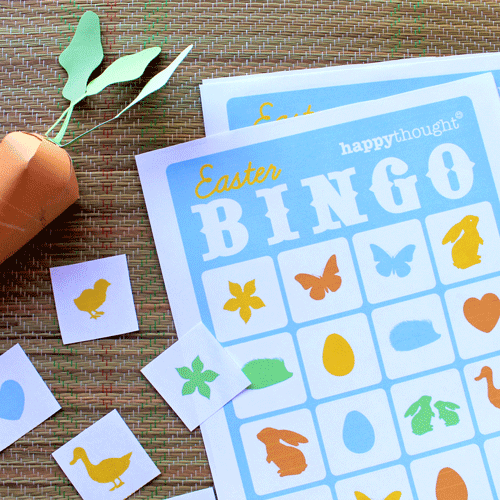 Also included in this printable Easter party craft set are templates for our popular Easter bingo. Print out your bingo caller cards and tokens. Now the calling begins. Yellow duck anyone? Click here to add the Easter templates to your shopping card! Finish off fresh baked cupcakes in style with these adorable cupcake toppers & cupcake wrapper printable templates. Print as many as you need. Quick and easy, pack them full of treats and chocolate eggs from the Easter Bunny. Pop them on your Easter table or hand them out to each guest when it is time for the Easter egg hunt! 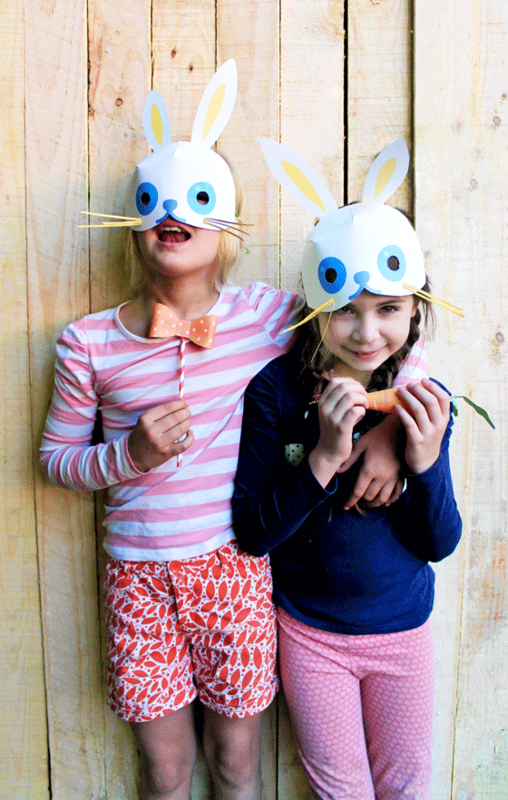 Dress up as a bunny or rabbit with Happythought’s easy to make Easter bunny mask templates. Adorable bunnies driving their hot rod cars. Each bunny is raring to go, ready to deliver all their eggs in time for Easter. The bunny cars come in three color ways with space for treats. 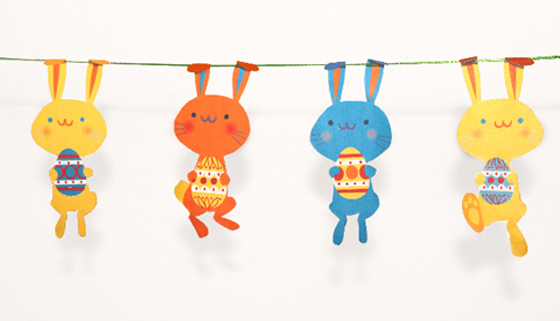 A cute mini garland to hang at your Easter party. 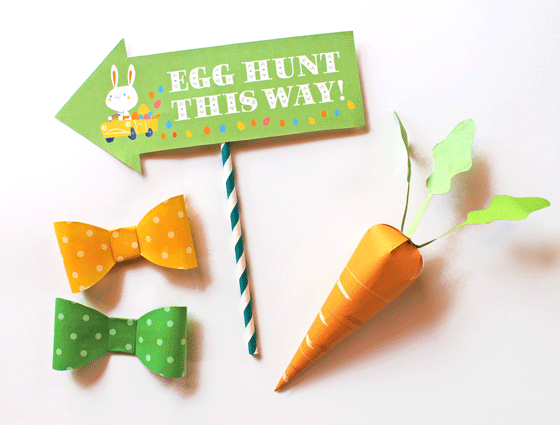 Make sure you can find all the eggs with this cute ‘Egg Hunt this way’ sign. 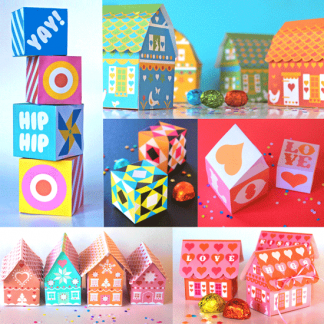 Every Happythought paper craft template includes full and simple instructions. After making your purchase you will be sent and email with a link to download your paper craft PDF templates. Happy crafting! We hope you enjoyed this printable Easter Bunny printables pack!